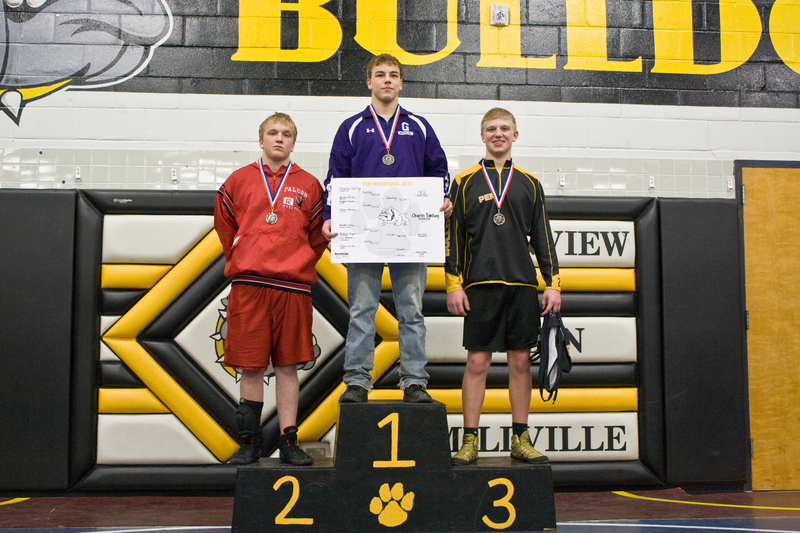 Tonight the Goodhue Wrestling program travels to Plainview for a triangular with PEM and GMLOKS. The JV is to start at 4:30 and wrestle throughout the evening; the Varsity team hits the mat at approximately 5:00 and 8:00. 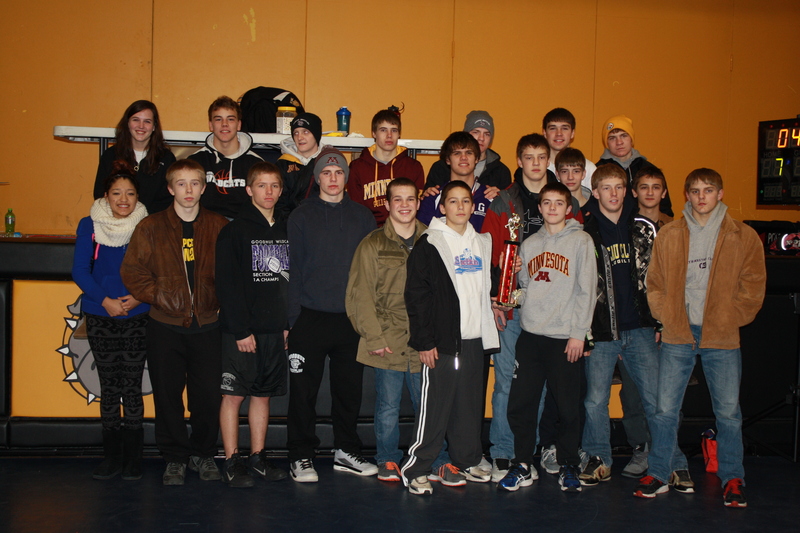 On Saturday the JV travels to Mazeppa for the SE MN JV Duals. Bus leaves at 7:30 and 4 duals of wrestling starts at 9:00 a.m. 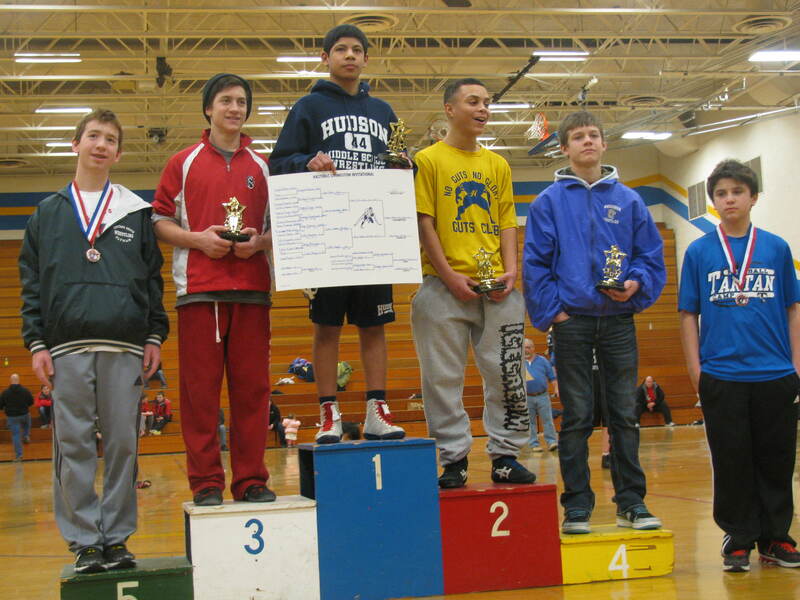 The Varsity team will leave at 6:00 a.m. to the Robbinsdale Armstrong Duals, which has an expected start of 9:00 a.m. as well. 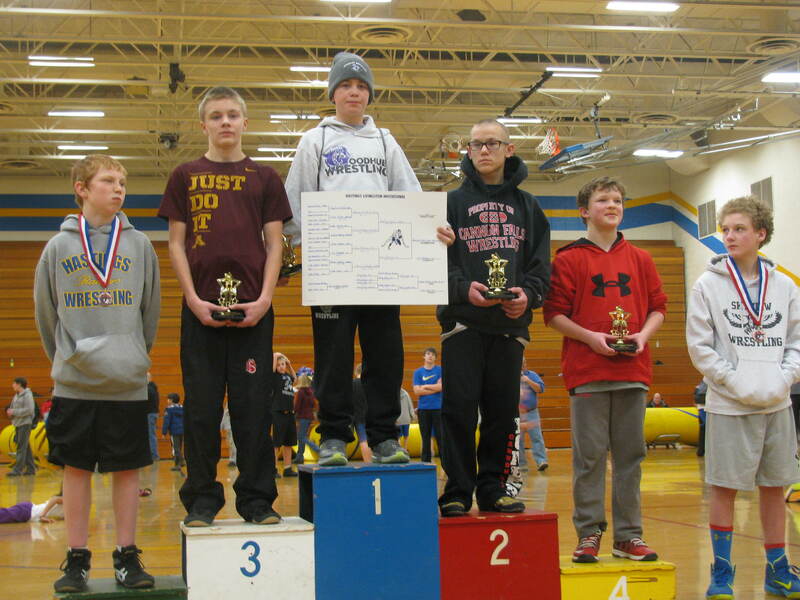 The Goodhue Junior High Wrestling Team traveled to Ellsworth, Wisconsin, to compete in the middle school wrestling tournament. Winning championships were Baxter O’Reilly, Bjorn Otterness, and Kodee O’Reilly. 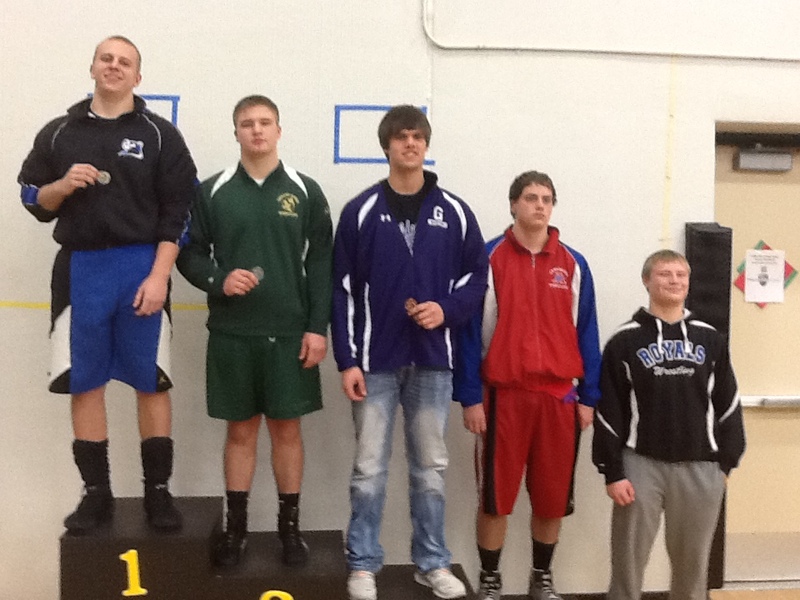 Travis Gadient earned 2nd place, while Bradyn Hinsch and Ryley Christianson placed 3rd. 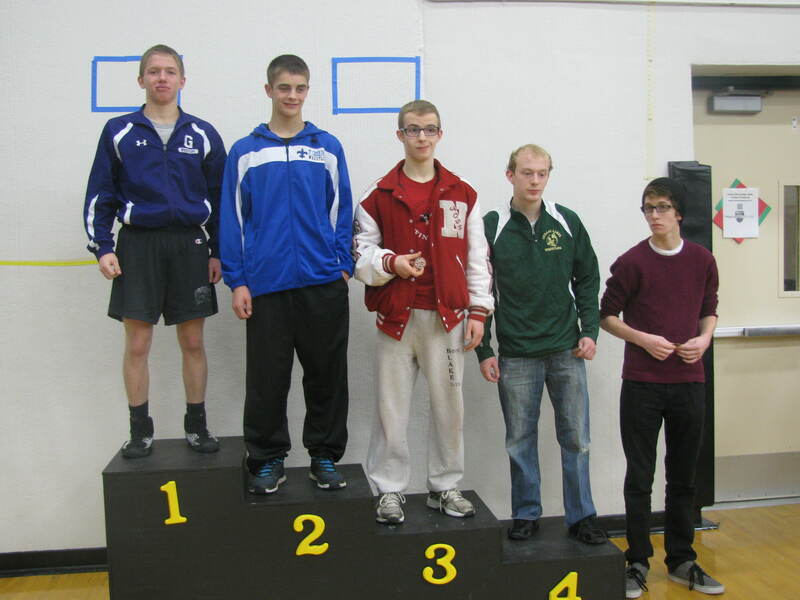 On January 10th, the Goodhue varsity team competed in the PEM Invite. 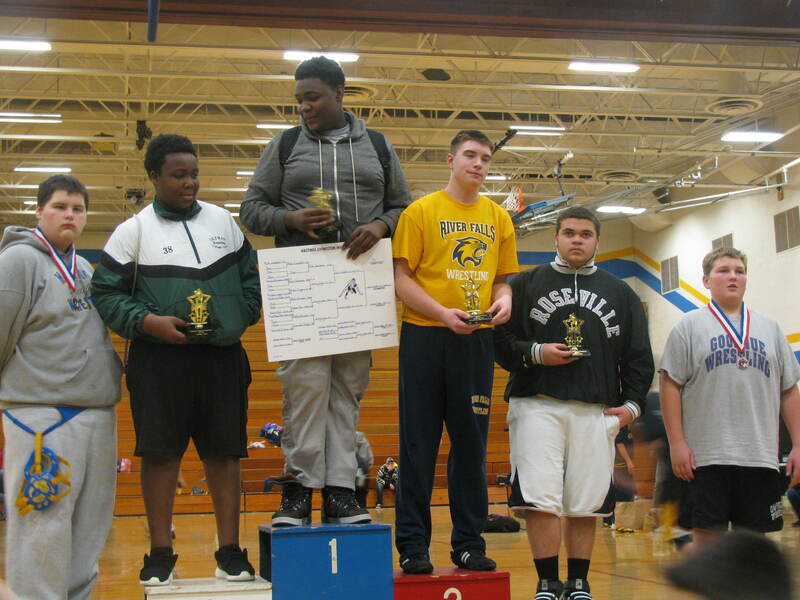 The team competed in 11 weights and finished in 2nd place behind PEM with 159 points, edging Byron by 7 points. 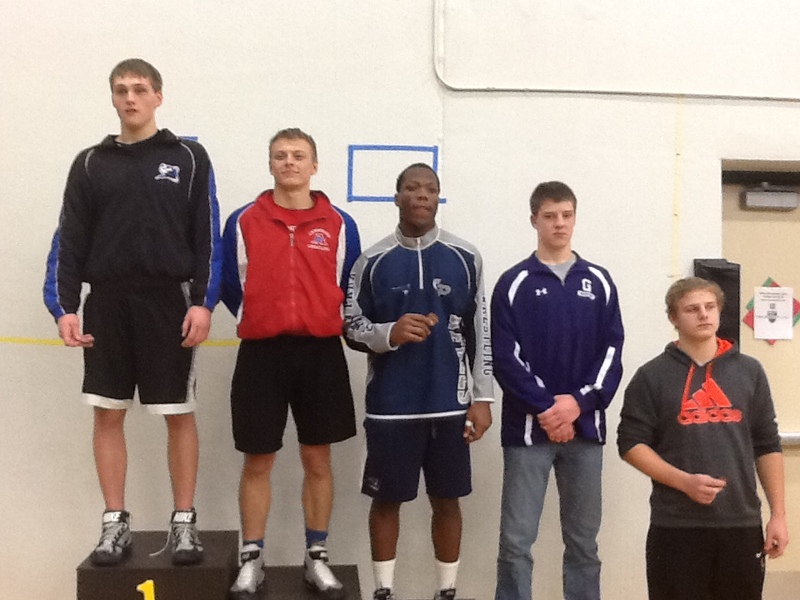 Joel Gadient and Charles Dahling were tourney champs at 126 and 182 pounds. Both recorded pinfalls in each match of the tourney. 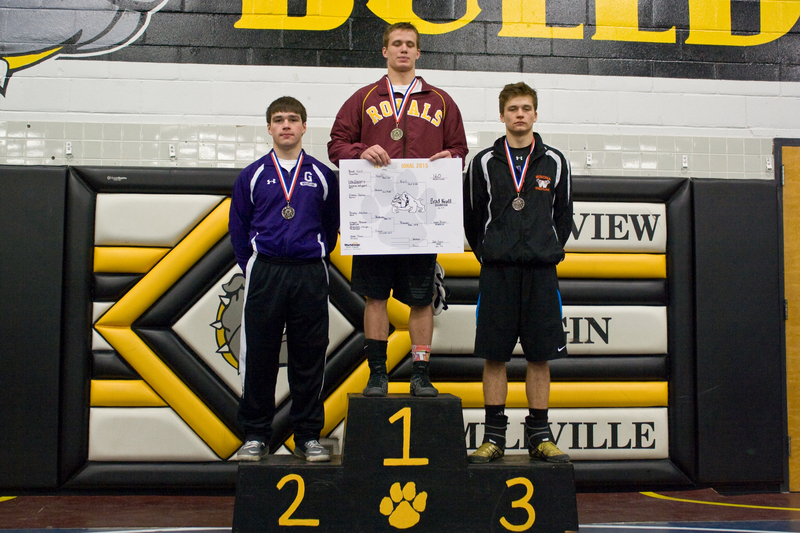 Jordan Ronningen lost his finals match to finish as a runner-up, and dropping close decisions in the finals were Mason Huemann, falling 3-2 to a Byron opponent that had pinned him in the first match of the year, and Logan Breuer, who fell 9-8 to a ranked Royalton wrestler. 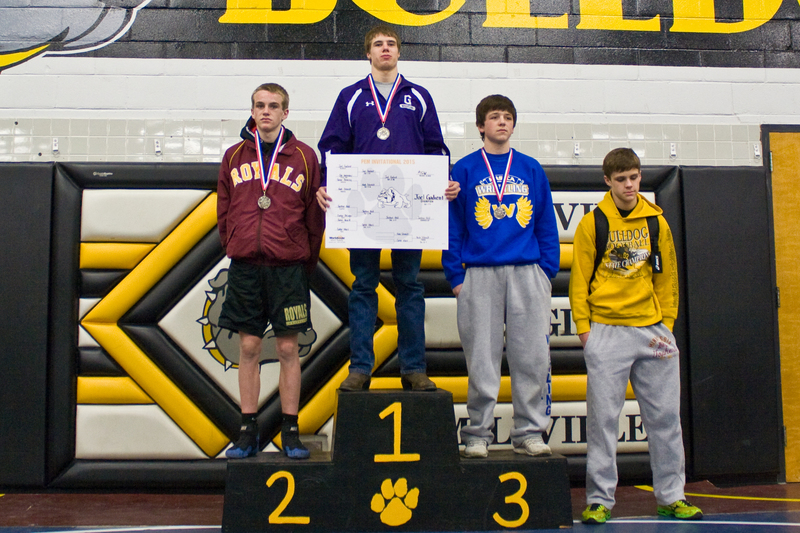 Other placers included Kaleb O’Reilly, Kelby O’Reilly, and Bailee O’Reilly in 3rd place, as well as Casey Deneen and Ryan Schoenfelder in 6th place. 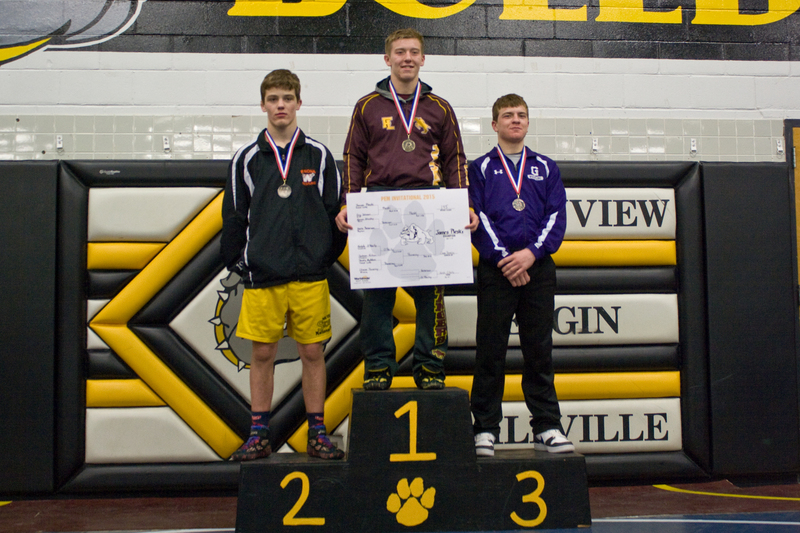 Tonight, the Wildcats wrestle at K-W with Hayfield in a HVL Conference triangular. Goodhue will wrestle first at 5:00 against Hayfield and again in the third dual against #3 ranked K-W. Bus leaves at 3:15. Friday brings practice at 3:30 for V/JV wrestlers at 3:30. 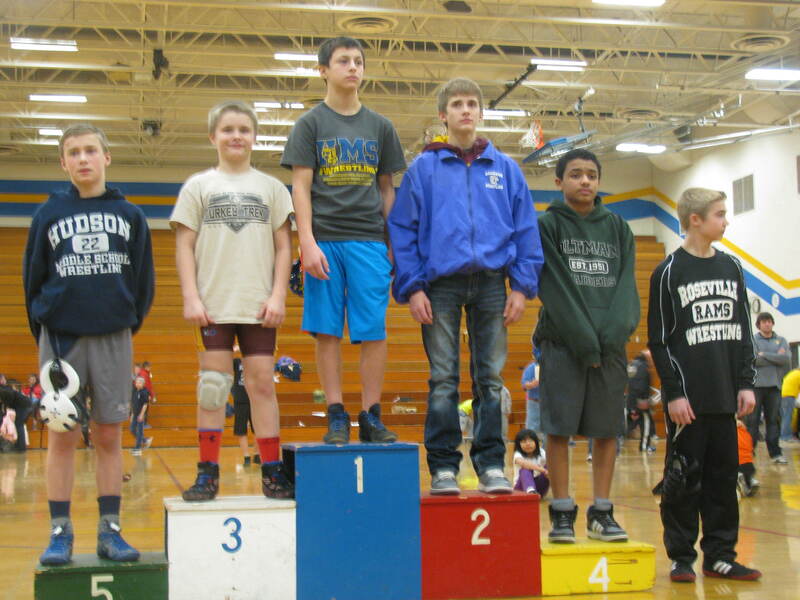 Meanwhile the 6-8 grade JH wrestlers will compete in Ellsworth’s Middle School Invite and leave at 3:15. Wrestling action starts at 4:30. 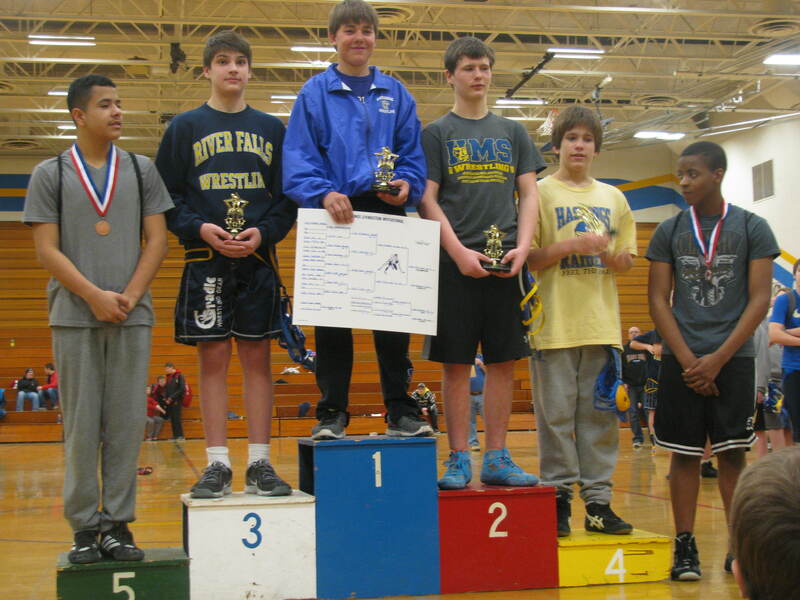 Saturday the Varsity team will wrestle at the Robbinsdale Cooper Duals. 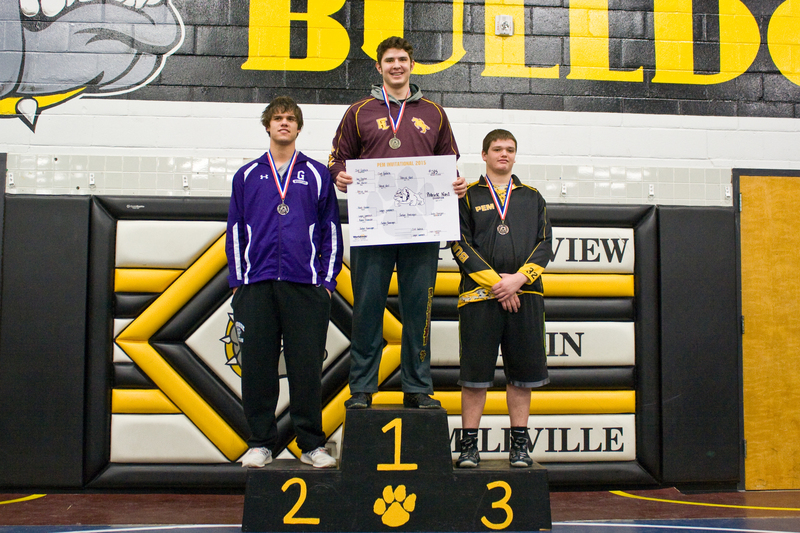 Bus departure is set at 6:15 and the first round of duals is expected to start around 9:00 a.m.
Goodhue claimed 3 championships at the Hastings Middle School Wrestling Tournament on Saturday, January 10, 2014. 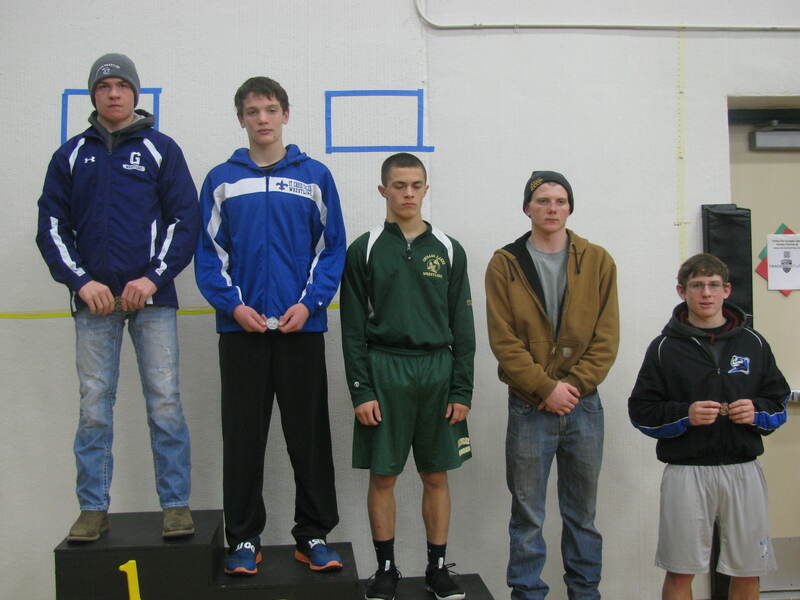 Taking 1st place were Baxter O’Reilly at 100 LBS, Travis Gadient at 130 LBS, and Kodee O’Reilly at 155 LBS. The home triangular with ZM and PI that was canceled last Thursday due to weather has been rescheduled for Friday, February 6th. Please update your calendars to reflect this new date. This Friday we host a triangular on Friday, but with Stewartville and WEM-JWP. 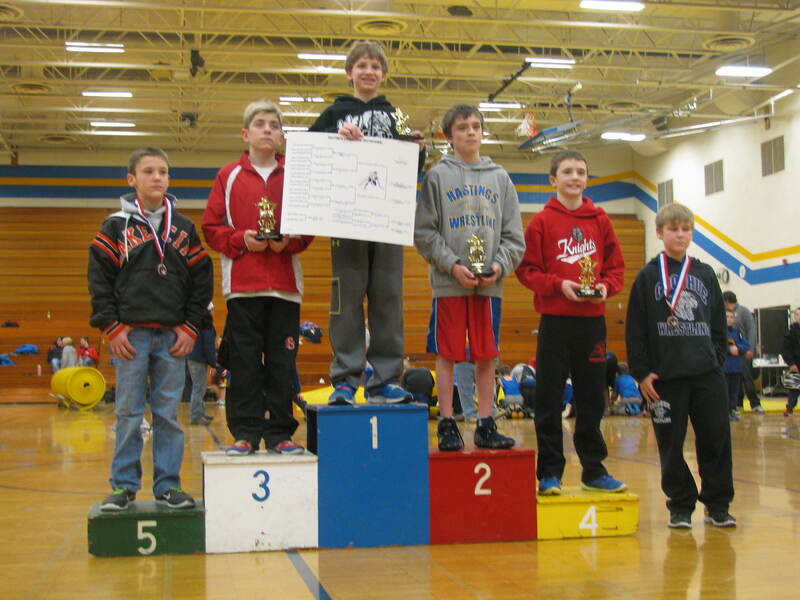 In addition, our youth program will also be scrimmaging the Stewartville youth wrestlers in the wrestling room. The next morning the Varsity wrestlers will be catching an early 6:00 a.m. bus to Rogers H.S. 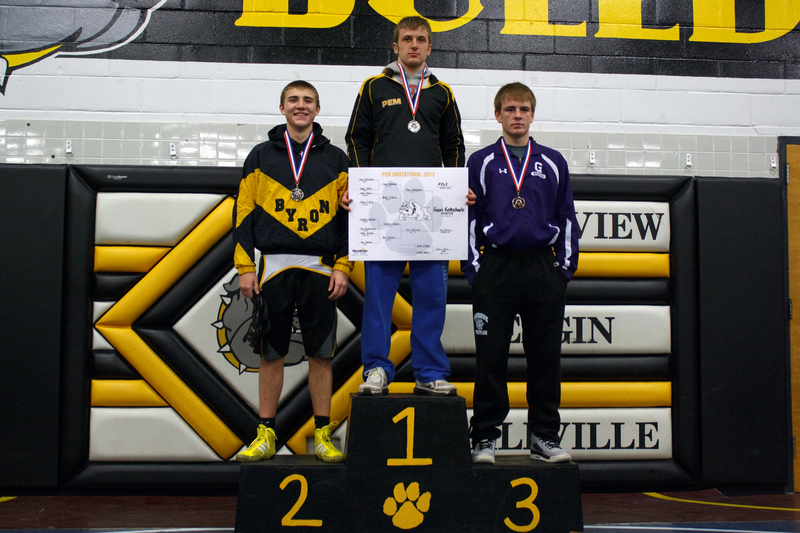 for the Rogers Duals. The first dual there is scheduled for 9:00 a.m. with two more rounds after that. Also to note: the varsity will practice at 6:00 a.m. Wednesday morning because of gym practice sharing. The JV are welcome and encouraged but are not mandatory to attend. 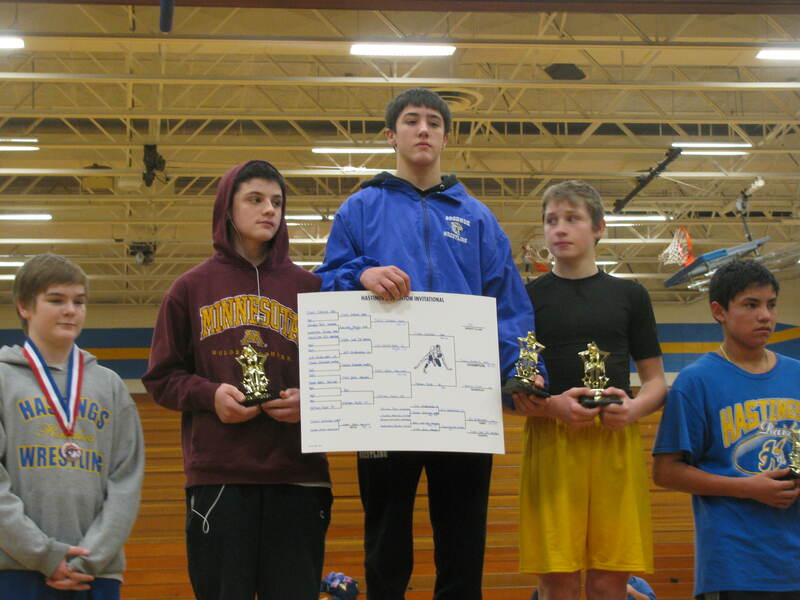 The wrestlers will then be lifting after school and then be done for the day. 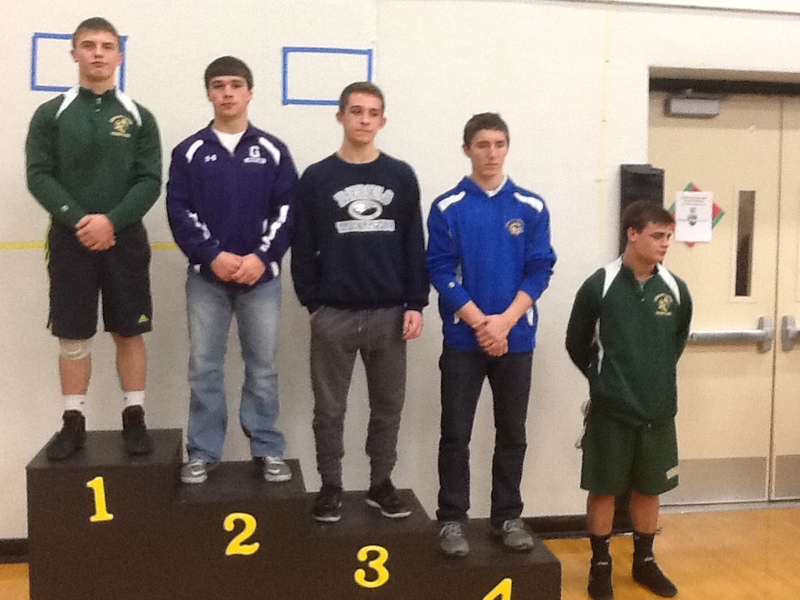 Goodhue Results of the Chisago Lakes Wrestling Tournament Friday, December 19, 2014.
took 1st place in the B division. 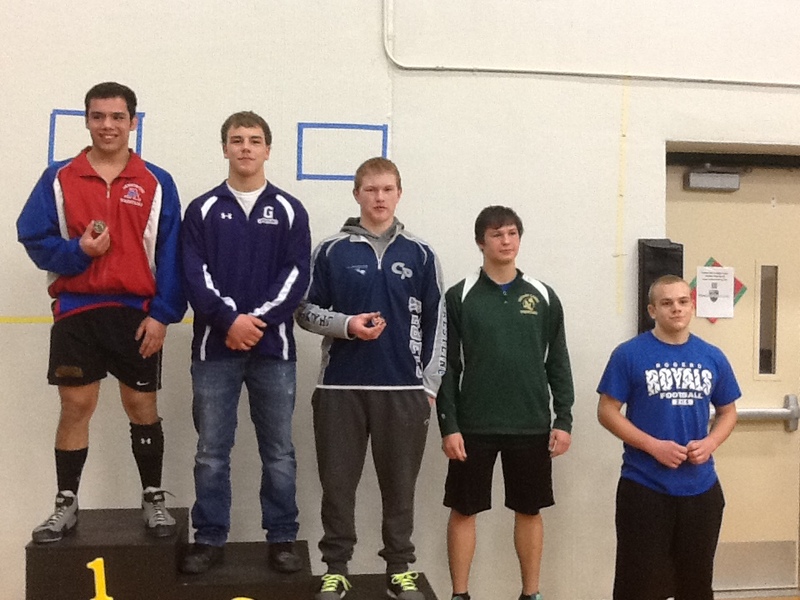 Goodhue had four runner up finishes in Joel Gadient, Bailee O’Reilly, Logan Breuer, Kaleb Stern, and Chuck Dahling. 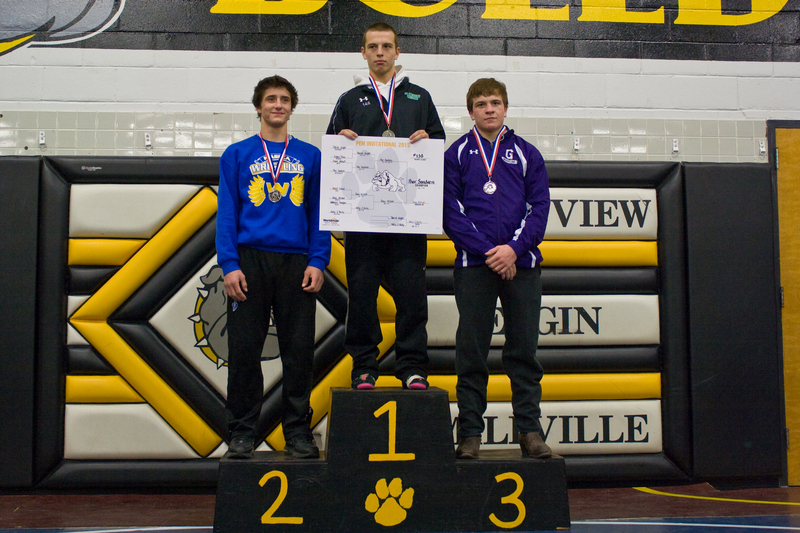 Overall, Goodhue took 4th place in the tournament.